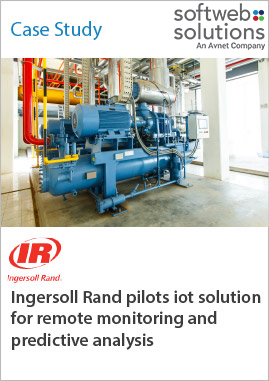 Ingersoll Rand wanted to maintain their compressors with high efficiency and without failure; hence they needed a solution for remote monitoring and predictive analysis. They also wanted to minimize unplanned downtime that stops production process. Softweb Solutions provided an integrated IoT solution for smooth operations that has features such as monitoring of key parameters to indicate abnormal behavior of the equipment and sending alert notifications for decision making. Ingersoll Rand will also benefit with energy efficiency diagnostics.